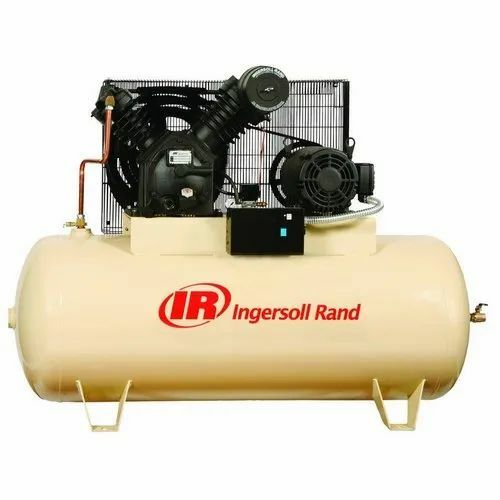 Our product range includes a wide range of Ingersoll Rand T30 Reciprocating Air Compressors, Lathe Machine, Super Model Lathe Machine, Heavy Duty Lathe Machine, Atlas Copco Air Compressor and Rotary Screw Compressor. ROLEX TURNER JUNIOR SIDE COUNTER VEE - BELT DRIVE SLIDING, SURFACING and SCREW CUTTING PRECISION LATHE MACHINE: Rolex Turner Junior side counter Lathe Machine has been designed to meet the demand for small and precision jobs. Outstanding craftsmanship and quality control are the most vital factors. SALIENT FEATURES: The Bed is close grain graded cast iron seasoned to avoid stresses. Bed Hardness will be Minimum 320 BHN and above. Spindle is made of Alloy Steel which runs TWO TAPER ROLLER BEARINGS. Spindle is of solid block, accurately aligned on Vee’s and flat surface of bed ways for precision machining of jobs. Opening screws are fitted with micrometric dials for denoting precision machine of jobs. Tail stock is of rigid construction which can be easily offset for taper turning. Gap Bed facility. Accuracy is checked as per BIS Specification. ROLEX TURNER MEDIUM DUTY VEE - BELT DRIVE SLIDING, SURFACING and SCREW CUTTING PRECISION LATHE MACHINE : Rolex Turner Medium duty Lathe machine has been designed to meet the demand for small and precision jobs. Outstanding craftsmanship and quality control are the vital factors. Rolex turner vee - belt drive with tapper roller bearing shimoga type heavyduty sliding, surfacing and screw cutting precision lathe machines: rolex turner precision lathes are the result of technical expertise and long manufacturing experience. The machine has been designed to meet the accuracy of manufacturing dies and other precision tool room jobs. Available in simple and norton type. Salient features: the bed is close grain graded cast iron sufficiently seasoned to avoid stresses. ‘flame hardened bedways’ it is precisely ground after hardening and hardness is 330 b. H. N. And above. Sturdy designed head stock. Gap bed facility. Lead screw is made of en – 9 steel and cut to 4 t. P. I. Accuracy is checked as per i. S. I. Specifications. The Atlas Copco Automan is the only heavy duty industrial piston air compressor which is CE APPROVED. Automan series combines reliability and ease-of-use in one package. These solid air compressors meet high performance standard and are highly reliable under demanding circumstances. Reliability is achieved by selecting an in-house design and careful selection of precisely machined components and keen eye for details. Automan is backed by Atlas Copco which has 135 years of rich experience in compressed air and 105 years of piston compressor legacy. Atlas Copco products are known for the finest quality and efficiency. The Atlas Copco Automan makes sure that continuous operation is secured, combined with a minimum of maintenance in a wide range of applications. Strong and Robust Design, Slow-Running, Big-Sized Cast iron cylinder block with high cooling fins combined with big fly wheel ensuring Efficient cooling, Durability and Longer Lifetime. Deep Finned After cooler to Reduce the Compressed Air Outlet Temperature.Up to 7.5 HP Compressors are equipped with three ready to use air outlets with dual pressure regulators for different and multiple pressure applications of air to be used at the same time i.e. you can use three and more pneumatic tools at the same time with one air compressor. Electricals are geared for overload protection. Large flywheel provides improved cooling efficiency. Multi purpose completely enclosed belt guard which not only offers protection but also directs cool air over compressor and keeps the noise level to an absolute minimum. Pressure reducing valve with quick coupling so it only takes few seconds to add new applications to the compressor. Wheel Mounted up to 7.5HP for Mobility and Ease of Operation. Wheels on receiver tank mounted unit helps operator to take machines wherever needed. CE approved TEFC motor has a long life time and class 'F' insulation. CE approved powder coated receiver tank.